How does one go about organizing something as complicated as a strategic-missile or space-exploration program? Stephen B. Johnson here explores the answerвЂ•systems managementвЂ•in a groundbreaking study that involves Air Force planners, scientists, technical specialists, and, eventually, bureaucrats. Taking a comparative approach, Johnson focuses on the theory, or intellectual history, of "systems engineering" as such, its origins in the Air Force's Cold War ICBM efforts, and its migration to not only NASA but the European Space Agency. 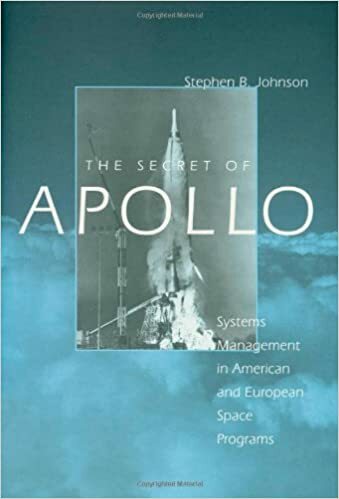 Exploring the history and politics of aerospace development and weapons procurement, Johnson examines how scientists and engineers created the systems management process to coordinate large-scale technology development, and how managers and military officers gained control of that process. "Those funding the race demanded results," Johnson explains. "In response, development organizations created what few expected and what even fewer wantedвЂ•a bureaucracy for innovation. To begin to understand this apparent contradiction in terms, we must first understand the exacting nature of space technologies and the concerns of those who create them."